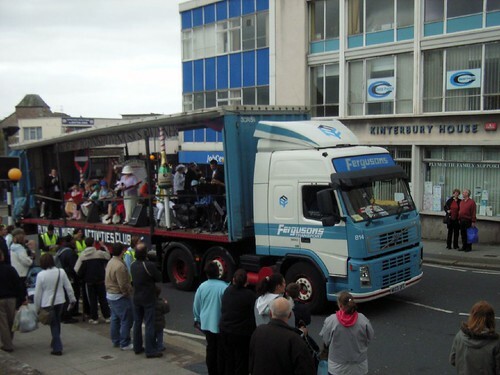 Plymothian Transit: The carnival is over? There will be no lorries in Tavistock's traditional carnival procession in July.The parade, on July 21, is usually packed with articulated lorries - but, due to new legislation, there will only be groups of walkers and small trucks in the procession this year.Carnival spokesman Steve Grummit said: "We've been advised by one of the haulage companies that changes in rules relating to tachographs mean lorries taking part in the carnival on the Saturday could not be on the road on the Sunday - which is when most of their long-distance journeys begin. It will be interesting to see if this happens to the Lord Mayors Day Parade this year in Plymouth.